Update: The WMNS Nike Air Foamposite One “Shine” releases on December 14th, 2017 for $230. The ladies have been left out of the Foamposite party ever since the shoe first dropped in 1997, but that is now finally changing 20 years later. In 2017 the first-ever women’s exclusive sizing and colorway of the Nike Air Foamposite One will drop, which you can preview right here. 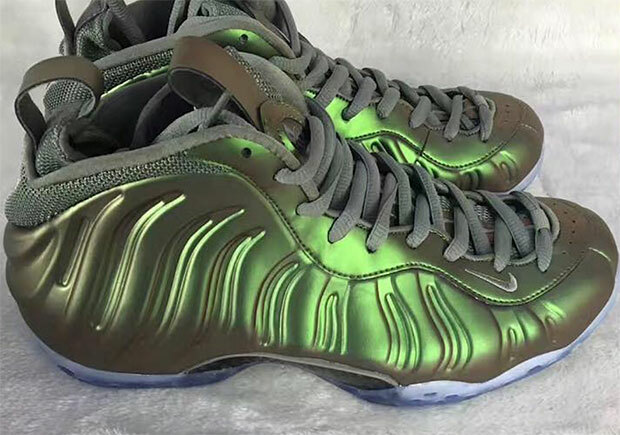 In a look that will surely make more than a few male Foam fans envious, the colorway features an iridescent green upper for not only the Foamposite shell, but also the lace paneling and tongue and heel loops. Dubbed the “Shine” colorway, you can get your best preview yet of the women’s-only release here, and expect them to drop this Holiday season. Stay tuned to Sneaker News for an official release date. In other all-new Foamposite news, check out the metallic gold Foamposite Pro releasing in October.